Verb. 1:Volunteer to do something for someone. 2: to put in a bid to buy something. 3: to give someone an opportunity to do something. 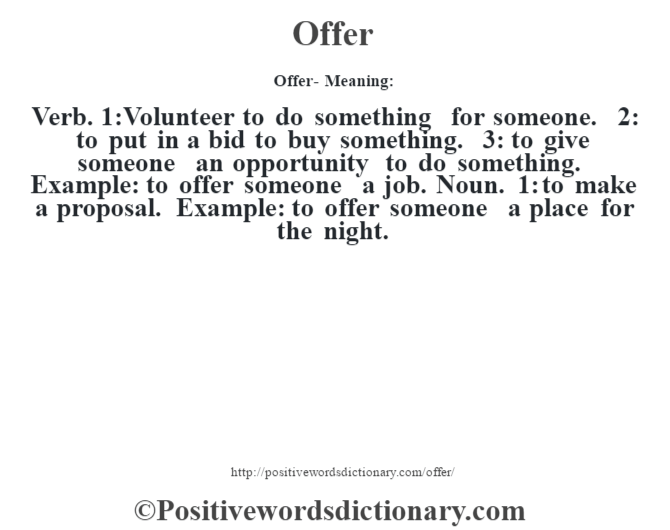 Example: to offer someone a job. Noun. 1: to make a proposal. Example: to offer someone a place for the night.